Just got through a savings leaflet from Costco and the above caught my eye, £185 at Amazon at the moment. £25 Membership should be added to the price if you don't hold a membership at Costco! Please show me cheaper for the muppets voting cold? Of course it should be included in the price! .... Or at least mentioned. I'm not a member, along with a few million other people in this country. Voted hot, just because of the people voting cold because the OP didn't mention the membership fee. Vote on the deal. It's a great price. Voted hot as still cheapest around! Added to the OP membership costVoted hot as still cheapest around! Not too bad a deal if you need 8 new pans. Glad to see that a mod has added to your original post. Not too bad a deal if you need 8 new pans.Glad to see that a mod has … Not too bad a deal if you need 8 new pans.Glad to see that a mod has added to your original post. These pans are stunning value. You're getting 8 of Circulon's best pans for £120 (or £145 if you need to join Costco), £65 (or £40) cheaper than amazon and people are voting cold? I bought the same set at Costco 5 years ago and they still look like new, I can't recommend them highly enough. Tough, well balanced and nothing sticks to the even after 5 years. Much, much better than the Infinite set which you see on amazon. These pans are stunning value. 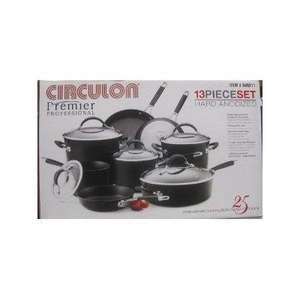 You're getting 8 of Circulon's best pans … These pans are stunning value. You're getting 8 of Circulon's best pans for £120 (or £145 if you need to join Costco), £65 (or £40) cheaper than amazon and people are voting cold? I bought the same set at Costco 5 years ago and they still look like new, I can't recommend them highly enough. Tough, well balanced and nothing sticks to the even after 5 years. Much, much better than the Infinite set which you see on amazon. I am a member so very hot for me. Should be hot for anyone wanting this quality of pan, cheapest even if you include membership which of course opens up future costo bargains if required. I wish some of the knockers would show me the same pans on a better deal, I love to save money!